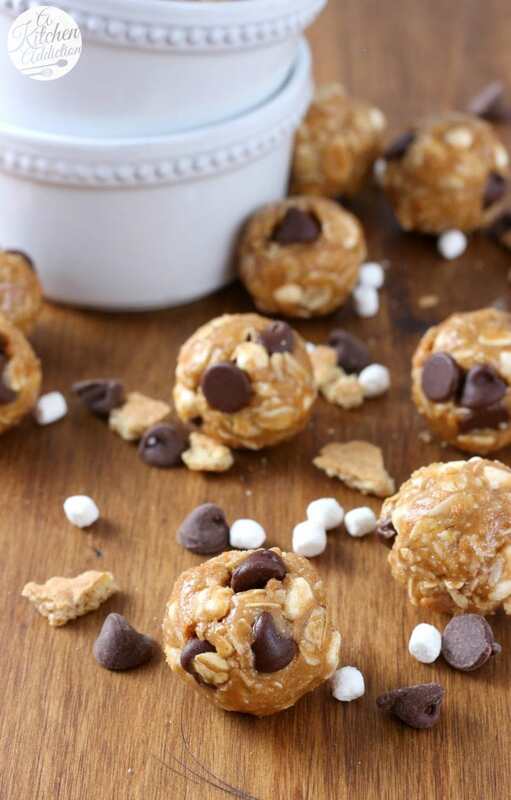 Enjoy the flavor of s’mores in a healthier option with these Peanut Butter S’mores Granola Bites! These granola bites are portable s’mores that are super easy to make, full of healthier ingredients, and don’t make a mess when you try to eat them! *Recipe originally posted 08/01/13. Images updated 06/14/16. You know those pictures where everyone is all bright-eyed and excited with huge smiles on their faces?! I have to say I agree with him. My hair and make up don’t stay perfect for that long. Though I have to confess that when I get up at 5 a.m. and know that I’ll be spending the next 17 hours in the car, I don’t exactly spend the greatest care on my hair and make up! All that to say we made it, and despite the drive, we enjoyed our time. 🙂 These peanut butter s’mores granola bites have absolutely nothing to do with a 17 hour car ride. However, you can easily make these in under 17 hours and your hair and make up will stay perfect from start to finish. That is something to stay bright-eyed and excited about! These little granola bites are filled with oats, wheat flour, and crushed graham crackers. The only sweetener used to hold these bites together is honey and a bit of salt is added to boost the flavors. Stir in some marshmallow bits and chocolate chips and you have portable s’mores that are super easy to make and don’t make a mess when you try to eat them. 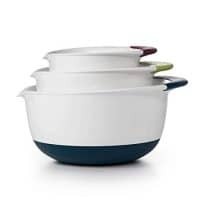 Perfect to pack for road trips, hiking trips, school, work, etc.! In a large bowl, stir together oats, wheat flour, crushed graham crackers, and salt. Add in peanut butter and honey and stir until well-combined. Stir in marshmallow bits and chocolate chips. 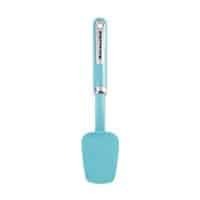 If dough is sticky, refrigerate for 15 minutes to allow to firm up before forming into 1-inch balls. 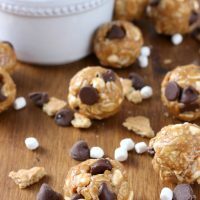 S’more granola bites? count me in! What an awesome snack! 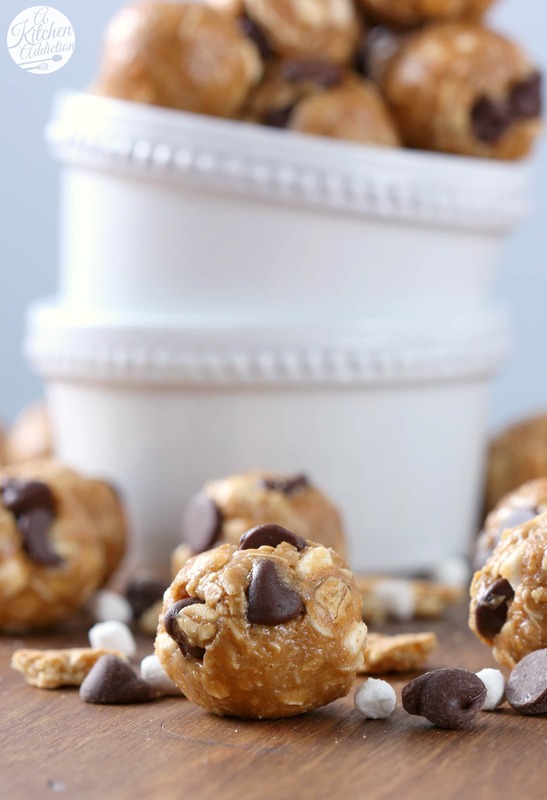 No bake granola bites are awesome. Now that you’ve made them into smore’s makes it even more better. Yay! you are back! 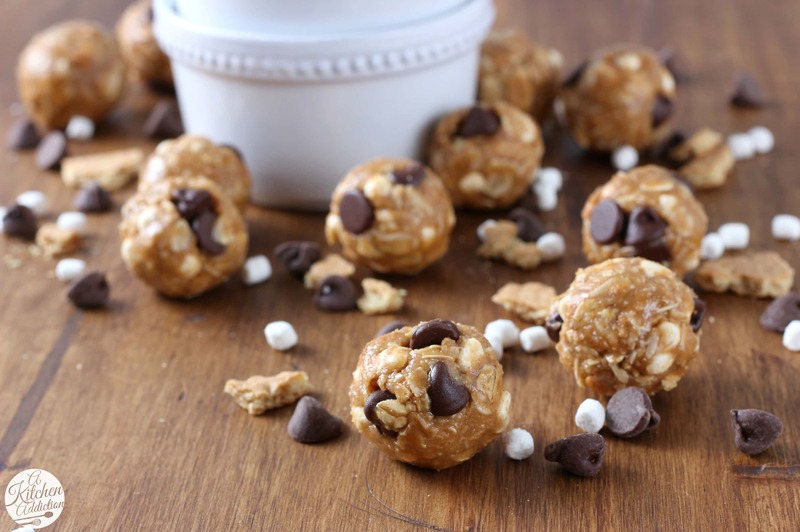 Homemade snacks are like gold on the road, these look awesome! These look like they could make any road trip more pleasant! Dekicious! Yes, they are perfect for snacking on during a road trip! I love everything S’mores flavored! These look amazing! My husband has this idea of going cross country in a car. Not so sure. These are the perfect driving snack though! Ugh, rod trips can be rough! These would definitely be great to have on hand for cranky, tired, and hungry kids. Perfect after school (or during school) snack too! Thanks Valerie! Yes, they would be perfect for lunchboxes! Glad you’re home safe! I could not do that long of a road trip. I’d go crazy! Glad to hear you guys enjoyed your time despite the long drive! These little bites sound so good and even better that the s’mores! these look great!! I definitely will be making these! Glad you enjoyed your trip! These are beyond brilliant, Jessica! Absolutely love. I’ll be trying these soon! The idea of a roadtrip is somewhat romantic, but the reality of sitting in a car for so long is much less so. 😉 Glad you guys made it safe and sound and had these delicious bites with which to reward yourselves! So true! 🙂 Thanks Jess! not only a great road trip snack, but GREAT for lunchboxes!! Yes, they are a perfect addition to lunchboxes (for kids and adults!)! Yum! Such a great idea – pinning! Well, at least not without these granola bites. They sound AMAZING!! My husband and I have made many cross-country drives and it is quite exhausting! On our last trip from AZ to OH, we plugged my iPad into my car and listened to 4 seasons of Friends, lol! 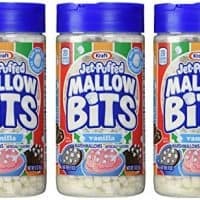 I would happily pack these bites for my next trip! We had our iPad going, too! Definitely helped pass the time! Well, these look like pure heaven. If I had these on a car trip, I’d be a happy camper. You wouldn’t hear one word of complaint from me! Glad to hear you made it back safely and had a good time. I’m good when the road trip is 3 hours. Seventeen hours…not so much. These granola bites look amazing. Yes, 3 hours is definitely much more enjoyable! Thanks Jennie! Glad you made it back safe and had a good trip! 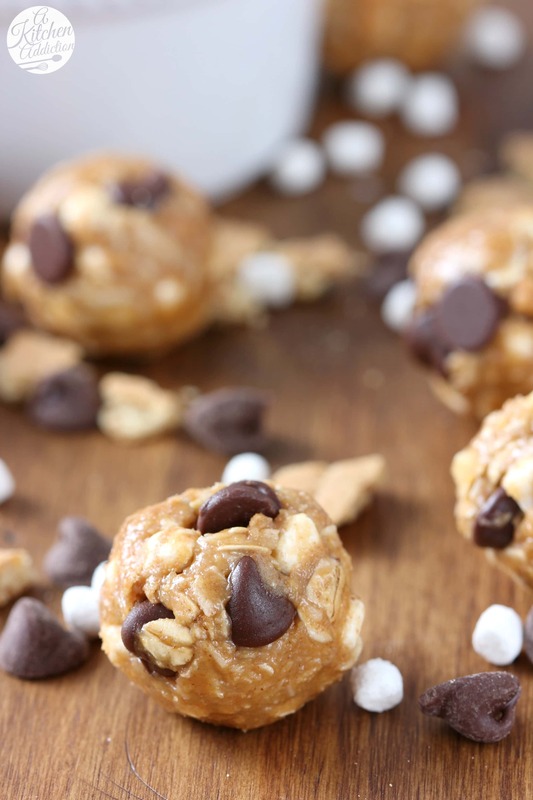 These granola bites sound delicious…I love the pb and smores combo! I totally agree with your husbands comment on road trips – not nearly as fun/glamorous as Pinterest makes them look! These granola bites look delish – a perfect summer snack! Yikes! That is a LONG time to spend in the car. I’m sure a bunch of these granola bites would help pass the time though. They look amazing! Pinned. Such a great flavor for a snack. I always crave s’mores flavored things. Pinning and making soon! I love energy bites and these look delicious and perfect for after workout bite! what a great idea!!! love these! I would eat a ton of these during a 17 hour car ride! haha I like road trips, but that one was really long. At least you had a delicious snack! What a perfect bite sized snack! Do you think they would freeze well?? Hey Jessica – glad you had a great trip! At the end of seventeen hours, no one cares what anyone else looks like anyway! Ha. We’ll be heading to drop our son off at college in Birmingham in the fall and it will be a longer trip than 17 hours from NH. We’ll have to bring some of these delicious portable energy bites to keep us going!